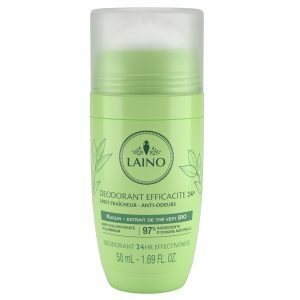 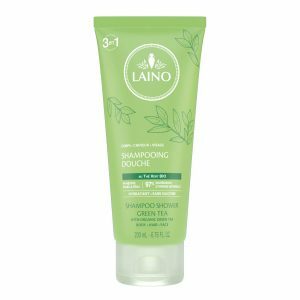 Laino has selected the best of the Mediterranean basin for this 24-hour* Effectiveness Deodorant. 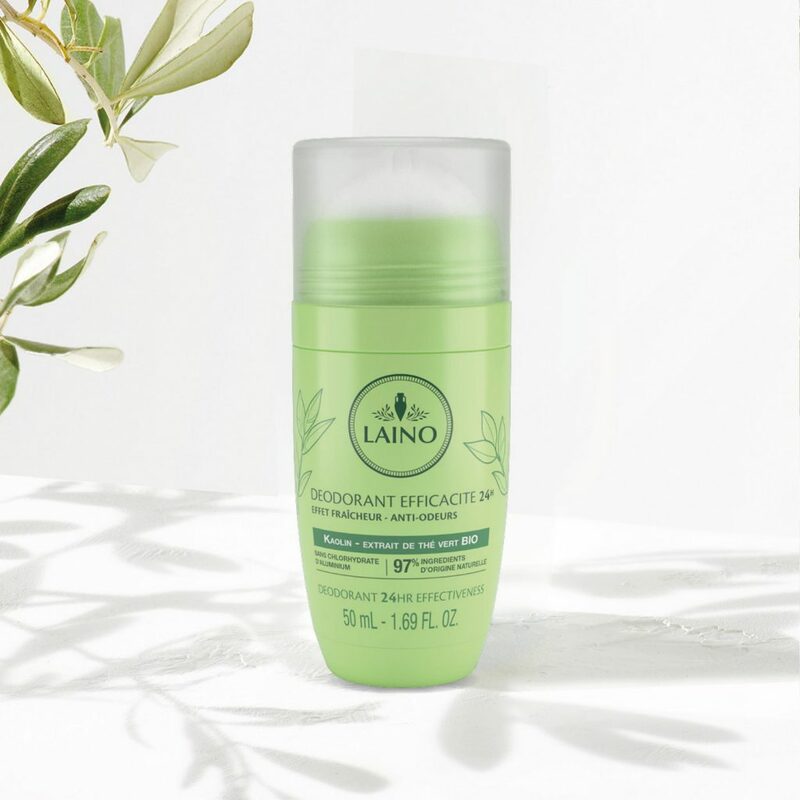 With its white kaolin clay combined with glycerin and ORGANIC green tea extract, this deodorant offers you 24-hour* protection. 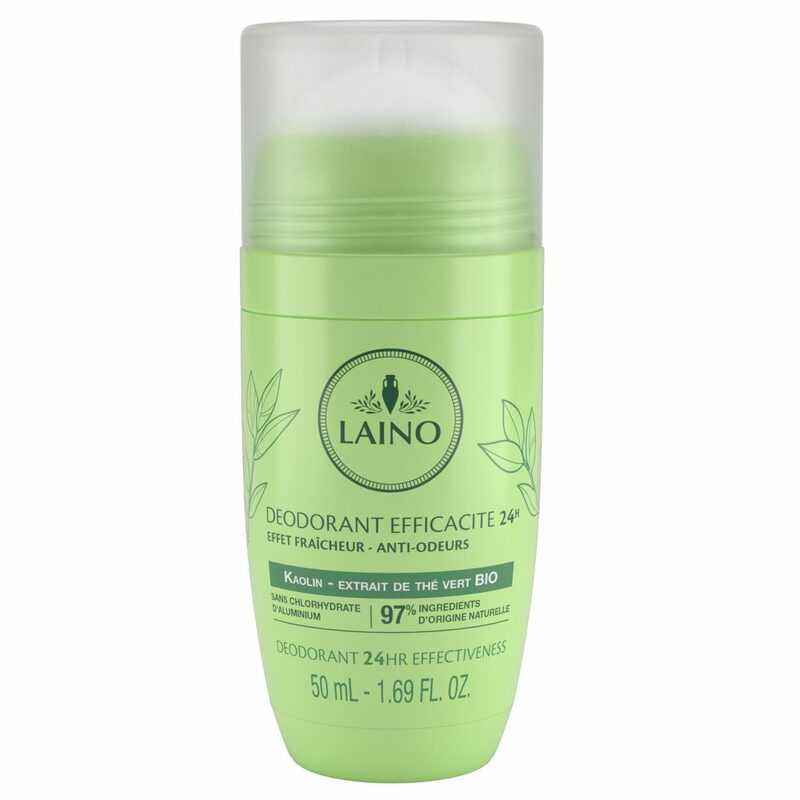 AQUA (WATER) / EAU, ALCOHOL, GLYCERIN, KAOLIN, PARFUM (FRAGRANCE), CAMELLIA SINENSIS LEAF EXTRACT, CALENDULA OFFICINALIS FLOWER EXTRACT, XANTHAN GUM, AMMONIUM ACRYLOYLDIMETHYLTAURATE / VP COPOLYMER, ETHYLHEXYLGLYCERIN, LACTIC ACID, HEXYL CINNAMAL, LIMONENE, LINALOOL, GERANIOL, CITRAL.